Your diversity program, committee, and training are doomed to fail. That’s not my opinion. That’s confirmed by a growing body of research and studies. Why? Because for all the talk about diversity, it’s just that – talk. Firms don’t actually want to invest the time and money into the solutions that have proven results. They form committees to talk about the problem, they hold events to bring female partners together to talk, and they hire a diverse person to ensure they are talking enough. They want to talk about the problem, but little interest is devoted to solving the problem. Current diversity programs frequently center on compliance or getting diverse candidates through the door, but they do little-to-nothing to keep them there. The diversity compliance programs, policies, and guidelines that have been implemented are necessary, but alone are insufficient. And while firms continue to pour money into creating diversity C-Suite positions and programs, the result is the same: Old White Leaders (OWLs℠) feel blamed while the Diverse (broadly defined) continue to be frustrated and leave because nothing changes. Make no mistake – the inclusion we’re talking about is a sea change in beliefs, behaviors, and relationships. Not just one more vacuous program that talks about the situation, but does nothing at all to affect change. Diversity did its job by raising awareness and informing everyone – the diverse and the OWL’s alike – about the realities of modern firm culture. But diversity doesn’t move the needle, doesn’t bring about real change without inclusion. Now, don’t go out and change the name of the “diversity officer” to the “inclusion officer” and think you just solved the problem. Inclusion is part of firm culture, and culture is a major driver of revenue. Inclusive cultures may be shaped but can’t be built by forming committees, writing policies, or issuing more guidelines. They are founded upon genuine, trusting professional relationships, feedback, and a commitment to the success of everyone . . . and there’s the challenge. Most people have a strong relationship with someone, but most don’t know how to intentionally start, grow, and maintain a relationship with a person who is different than themselves in some significant way. There are significant risks for both the OWLs and the Diverse, but there are significant opportunities as well. The risks won’t be traversed without intentional action, and the opportunities won’t be realized without a commitment to grow together through the challenges. 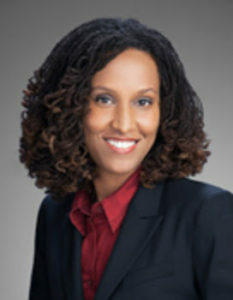 Dominica McGinnis is a coach and BridgeField Group’s Chief Operating Officer. She not only drives business development, culture transformation, team performance, and leadership success, but is also a strategic advisor who challenges her clients and propels them to go farther – faster. To do so, she works closely with every level of client leadership, personnel, and staff to ensure they achieve success as they define it. Dominica received her Bachelor of Arts from the University of Memphis, and continued her organizational and leadership training in Business Process Reengineering, Total Quality Management, and the Malcolm Baldridge Criteria of Performance Excellence. She completed her leadership coach training through PCCI, an ICF aligned school. A veteran, she is also proudly Airborne and Air Assault Qualified. 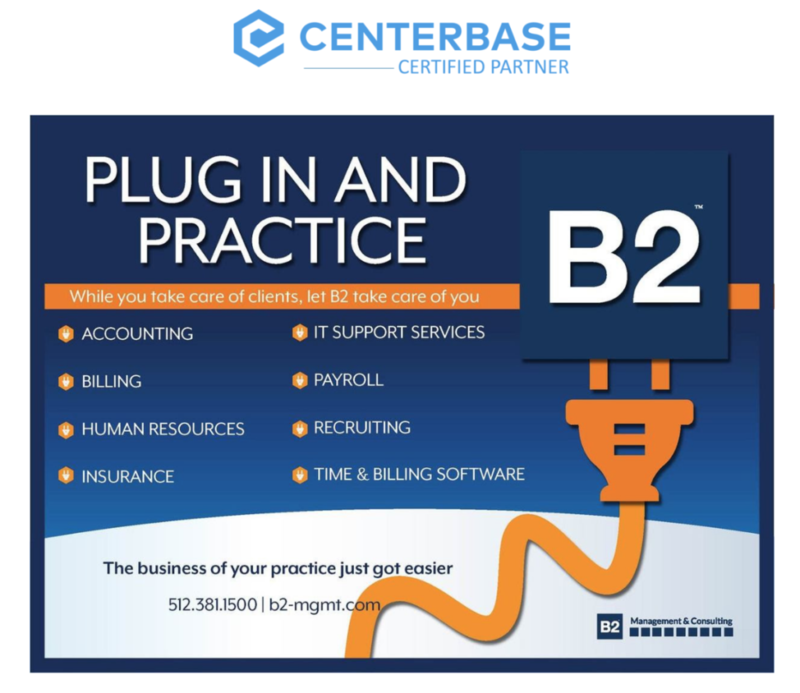 B2 is proud to announce it is a certified Centerbase consultant! Centerbase is a fully integrated cloud-based practice management system. Current B2 clients that sign up by September 30th to move their platform to Centerbase will receive a 40% discount on conversion, implementation and training. Visit Centerbase for more information and then contact me at bbarnes@b2-mgmt.com.